This year’s birthday dinner was a trip to our local restaurant in Roquefort les Pins; Auberge du Clos des Pins. We’ve eaten there a few times, the food and prices are good and the dog is allowed to sit under the table so we’re all happy! 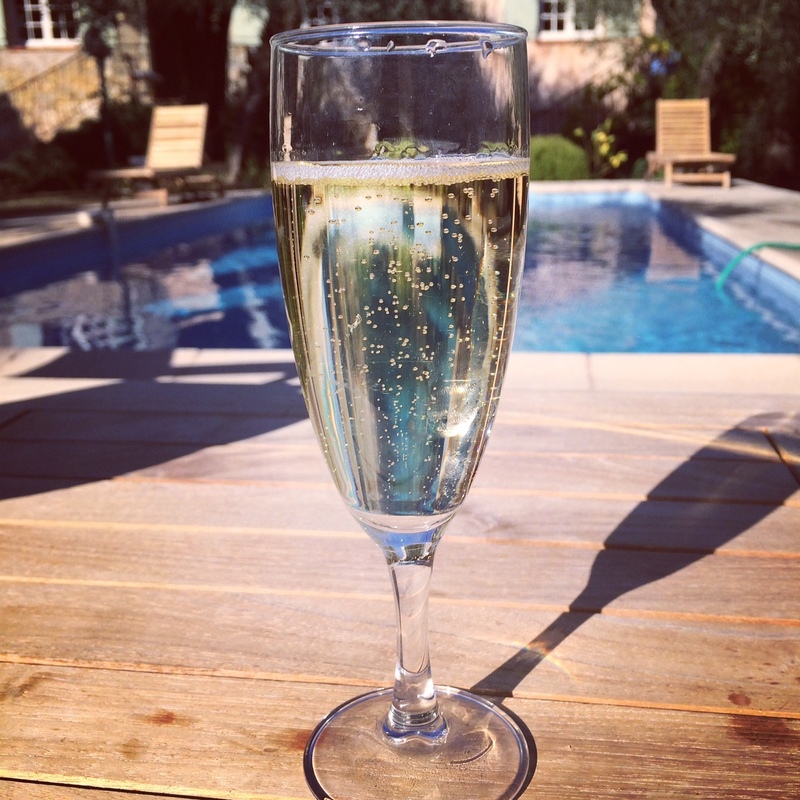 This year we started with a lovely glass of Champagne by the pool. You couldn’t have told me last year that’s where I’d be sitting on my birthday, it was quite a change since we had lunch on the canal in King’s Cross last September! A very nice way to spend my birthday!